Marcus H. Herbert attended law school at SIU School of Law in Carbondale Illinois. Founder: Bankruptcy Clinic, law firm in Carbondale, IL 1996 with a branch established in Paducah, Kentucky, 1999 (now renamed Law Office of Marcus H. Herbert and Associates which focuses on bankruptcy and debtor/creditor law). Co-founder and partner of law firm known as Lathram & Herbert LLP (focusing entirely on debtor bankruptcy work) Collinsville, Illinois, 2008. 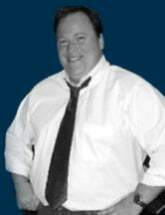 Co-founder and partner with Darrell Dunham of law firm in Carbondale, Illinois in 2009, known as Bankruptcy Advocates LLP (focusing entirely on debtor bankruptcy work). Law Clerk for Hon. Judge Kenneth Meyers Bankruptcy Judge SD ILL 1990-91. Established successful law practices in Vienna, Illinois, 1996 (general practice, criminal defense, personal injury, debtor bankruptcy and bank counsel). Summer Law Clerk (1990)at Moses and Singer at 1271 Ave. of The Americas New York, New York. Formerly with Law Office of Terry Sharp PC, Mt. Vernon, Illinois, 1992-1995.